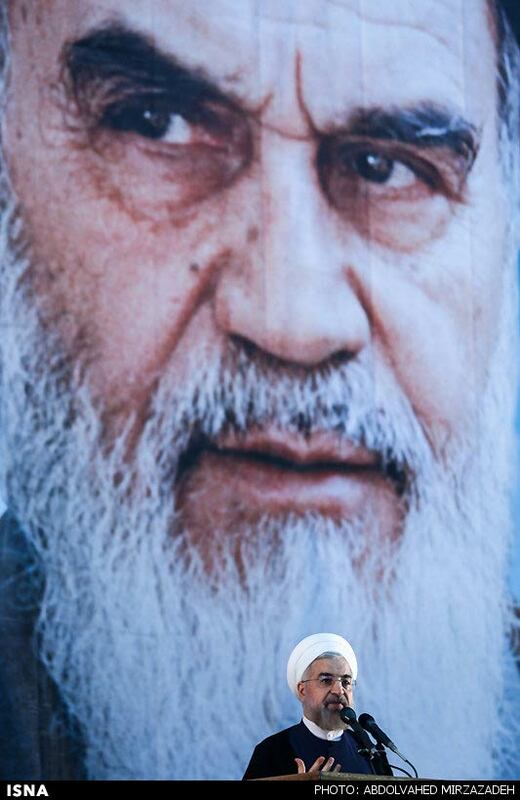 Iranian President Hassan Rohani delivers a speech on the eve of the 25th anniversary of the Islamic revolutionary leader Ayatollah Ruhollah Khomeini's death, at his mausoleum in a suburb of Tehran, on June 3. The debate pits powerful, hard-line religious conservatives against Iran's relatively moderate president, Hassan Rohani. And at the center of the debate is heaven, and the path leading to it. During a public speech late last month, however, President Rohani called for more freedom and rights for Iranians and less state intervention in their lives. "Let people relax. Let people be mentally healthy. Do not interfere so much in the people's lives even for sympathy," the cleric-president said on May 24. "Let people choose their own path to heaven. We cannot send people to heaven by force or the lash." The comments came under scrutiny, and shined the light on the issue of the state's role in leading its flock to heaven. The ultra-hard-line daily "Kayhan" published Rohani's comments with a question mark on its May 25 front page, while describing them as "questionable." Criticism also came from hard-line clerics, who used their May 30 Friday Prayers sermons as a platform to speak against Rohani. During Tehran's Friday Prayers, Ayatollah Ahmad Khatami said it was the state's duty to guide people to heaven. "The mission is to smooth the path to heaven, therefore the government is duty bound to pave the way to lead people to heaven," the hard-line cleric said. Ayatollah Alamolhoda, the Friday Prayer leader of the city of Mashhad, also criticized Rohani in his sermons. "We will stand against all of those preventing people from reaching heaven with all of our force, not only with a whip," he said. Hojatoleslam Hamid Rohani, the founder of the Islamic Revolution Documentation Center, also blasted Rohani. "Why does the president say no one should be sent to heaven by the lash? The majority of people have voted for the establishment and said that religious rulings should be enforced," the cleric was quoted as saying by Iranian media. He added that those who speak out against lashing citizens to lead them to heaven are bent on creating "chaos" in the country. Hard-liners who control the judiciary and other centers of power believe that giving Iranians more freedom could undermine an establishment that claims to rule the country based on Islamic principles. In recent weeks they have stepped up their pressure on Rohani, who is firmly rooted in the clerical establishment but is considered more a pragmatist who has pledged to bring about change, and his government. On May 31, the Iranian president hit back at his opponents with a bit of sarcasm. In a speech at the department of environment, he criticized those who are adverse to change and added that those who constantly worry about religion and the afterlife are delusional. He recalled that when showers were being introduced in the holy city of Qom and bathhouses were being eliminated some thought a "disaster" was in the making. 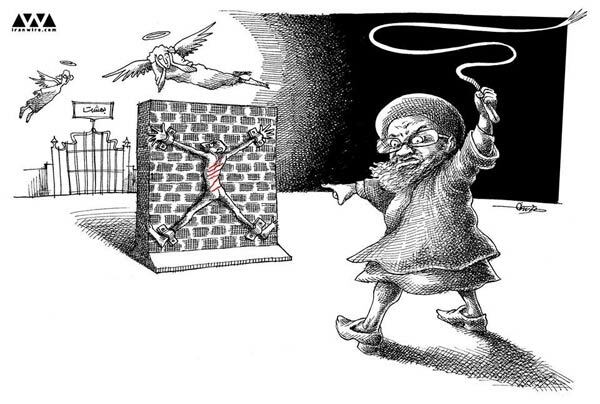 "Some said that half of the religion was being destroyed," Rohani said, laughing. WATCH: Hassan Rohani mocks his hard-line critics. "Some people have really nothing to do," he added. "They don't have jobs, they suffer from delusions, they're constantly worrying about religion and people's afterlife, [yet] they have no idea about what religion nor the afterlife is." "They keep worrying," Rohani said to an applauding audience. While criticism of the handling of the disputed nuclear program appears to be on the wane, pressure is on the rise against Rohani's social and cultural policies, which include calls for greater access to the Internet and less censorship. There have also been calls for stricter enforcement of the obligatory hijab for women. The popular website "Fararu" focused on the recent dispute with a report titled, "Criticism Of Rohani Changes Course From 'Geneva' To 'heaven.'" It noted that there had not yet been any reaction to Rohani's latest speech against his critics, but it predicted that the "toughest attacks" are still to come.